When is the Full Moon in February 2020? What time is Full Moon and New Moon? Why is it called the Full Snow Moon? All these questions and more are answered in our February Moon Guide. 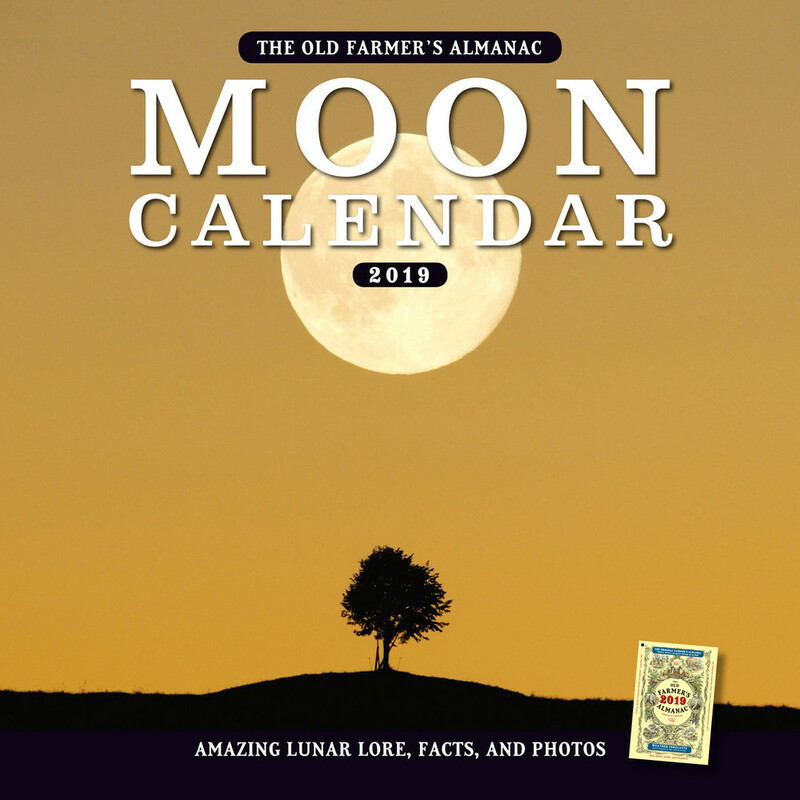 First Quarter: February 1, 8:43 P.M.
Full Moon: February 9, 2:34 A.M.
Last Quarter: February 15, 5:19 P.M.
New Moon: February 23, 10:33 A.M.
See a full calendar year of Moon names and their meanings. Each month, we will explain the traditional names of the Full Moon along with some fascinating Moon facts. In this video, learn about the Snow Moon, “Moon weather,” and the horns of the new crescent Moon. Click below to watch the video. Below are the Best Days for activities, based on the Moon’s sign and phase in February. On February 6, 1971, Alan Shepard became the first man to hit a golf ball on the Moon. Did you know that the Moon’s diameter is 2,160 miles? This is less than the width of the United States (approximately 3,000 miles), and 0.27 of Earth’s diameter (7,926 miles). And hand in hand, on the edge of the sand, they danced by the light of the Moon. Share your thoughts about the February Moon below! I got up before daybreak. Inside my white-walled garden, it appeared to be fully lit. I now understand why. Thank you for the interesting facts about our full moon. I have noticed for yrs that people get very short tempered around a full moon, and I notice that even within myself. You especially see it in driving. What I would like to know is what is going on since last Saturday, Feb. 18th? Four of my close friends seemed to get really quiet due to heightened stress, and I and many others have been experiencing anxiety like feelings since then. People were even posting about it on Facebook! I am a Scorpio, and our intuition and ability to "feel" other people's feelings is extremely strong, so I'm sure beyond a shadow of a doubt that is contributing to my recent level of emotional and physical intensity. I would just like to know why it is all so intense right now, beyond what I've experienced in the past? Is something going on that anyone knows of right now that would affect this like a full moon does at a lower intensity? Thank you. I’ve experienced an increase in emotions & it seems to be true for almost all of my immediate family this week. One of my daughter’s dogs even exhibited high stress with no obvious cause last night. I had been wondering if we had a full moon, which brought me to this site to see. My wife has Alzheimer's and I noticed she was more confused this Sunday, and that control of my temper almost got me to the moon, I got so upset that I had a very hard time sleeping well that night I had a lot of acid intergestion, being a caregiver is tough enough I don't need the moon adding to it. Wow, what can I say? I love the moon. I hate cloudy nights when you cannot see the moon, ya know? The almanac and my family. I am an RN who takes care of orthopedic patients every work day. My suggestion is to have surgery early in the week (Monday or Tues), if possible. Then your hubby can be discharged hopefully prior to the weekend. It is not necessary to consult the moon, just advise him to be an active participant in his care. A word to the wise: walk, walk, walk! My husband has had both knees done he can climb a ladder with 50 lb bag feed he is a rancher. He can carry large hay bales. He gets on the roof of our house. He had a great Dr. PRAY first tell your husband to do the exercises it may hurt at first but will be worth it. Move move move it heals the body quicker and does not let the knees muscles lock up. Much luck .............Never have surgery on Friday!! Hi, Judy, You have made our day with your lively and generous comment. Thank you very much for your loyalty to this Almanac! About the “anonymous quotes”: You might be going waaaay back (like several decades), when every teeny, tiny space on any page that was not an ad was filled with a line of text. For more than 15 years now, we have attributed the source of just about every quote, with his/her name, his/her country of origin (e.g., American), the nature of his/her work (e.g., American writer, Canadian poet), and given his/her birth and death dates (e.g., 1875–1937). The only time this might not appear is on the Calendar Pages because there is so little space. Sometimes proverbs or adages or folklore appears without attribution; that may be what you are thinking about. We aim to introduce quotes and other fun facts or sayings into stories when they “fit”—not just the space but the theme—and we will continue to do so. In the meantime, thank you for taking the time to share your thoughts! We appreciate you! I'm 65 years old now buy I remember having a Farmers Almanac in my home as a small child. My parents had farming backgrounds in Oklahoma and forever kept the almanac within their reach. Now sharing this with my own children. Some of the more ''far out'', incredible information I've learned about the moon extends well beyond the quaint folklore about it catching rain or enhancing plant growth. : 1) It's a vantage point from which ET geneticists who engineered humans can monitor us,2) the moon is hollow, making metallic clanging sounds when struck by jettisoned portions of the space capsule. 3) It's material is older than any known material on earth, 4) it appears to be an artificial satellite, contains electronic equipment, & provides interior shelter..5) ET bases and space craft were observed on the back side of the moon during Apollo 14 landing. Radio transmissions directly from Apollo were intercepted by an independent Ham operator confirming this encounter. 6) A later Apollo mission carrying a nuclear device intended to detonate on the back side of the moon, was met by an extraordinary light (ship?) which fired a beam at the apollo craft just as it went exoatmospheric, striking it 4 times while circling it, causing it to disintegrate and fall back into the earth's atmosphere. The FAA footage, evidence of this event was pirated from "men in black" who visited the FAA's 2nd in command who was later interviewed by Dr. Steven Greer, founder of The Disclosure Project. I am trying to find out what the twin days are for planting butterbeans.Any info appreciated please. Today (2/24/16) it is in Virgo. Been reading Old Farmer's Almanac for forty years. Someone nicked my 2015 issue so I had to go online! Which tribes called it " the hunger moon " and which tribes did not ? Our sources say that the Algonquin tribe sometimes used this name. The Choctaw used a similar name, "Little Famine Moon." The Osage used the "Hunger Moon" name instead for the first full Moon of their year. You are all over the news today! I buy the Almanac at Hennings mkt in PA, and luv your garden calendar with the beautiful art. Main stream media is shocked you rightly called the colder winter 2014 and our gov experts did not. Saw an article that said it was dubious back in Aug! At the beginning of Feb. I saw an article that showed various moons, one was just the circumference, which I don't believe I have ever seen. Now I cannot find it, is there such a moon? We re-checked the images against the current Almanac and they are correct. We're not sure what you might be referencing if you have any more information! Great almanac,best I've come across! Just found this site, And I love it. It helps with things I do. MY "Religion" is a big part of the Mother moon.And so much more that you share.Planting my herbs hsve to be planted on certain dsys. THANK YOU for this site. I am not a Farmer. Should I be interested in your Farmer's Almanac and what is in it for me?